The Nottinghamshire Wildlife Trust is the leading wildlife conservation charity in the area that works to protect and enhance wildlife and their habitats. 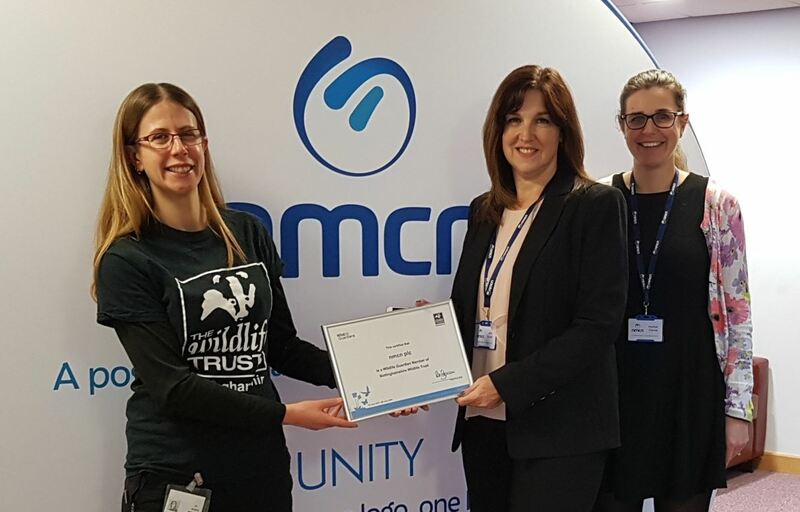 2018 marked 15 years since we joined Nottinghamshire Wildlife Trust as a business supporter, working together to protect wildlife for the future. From attending the Trusts Green Guardians local green business awards gala evening in 2013 to supporting the successful delivery of educational projects taking children from areas of multiple depravation into the outdoors, to the work undertaken at Strawberry Hill to increase heathland habitat which has resulted in the first recorded pair of breeding nightjar on the site, support has been varied over the years but always with the key impact of protecting wildlife for the future. Holly McCain, Senior Development Officer at The Nottinghamshire Trust, visited nmcn to award us with a certificate. Jane Cooper, Quality Manager and Heather Parkes, Environmental advisor were pleased to receive the membership status.